Two House Republican legislators with law enforcement backgrounds advanced separate criminal justice reform bills in the Illinois House of Representatives on Thursday aimed at strengthening the ability of current and former inmates who complete an educational degree during their sentence to gain employment upon re-entering the community. The House approved HB 3884, sponsored by Rep. John Anthony (R-Plainfield), which increases from 60 days to 90 days the length of service credit an eligible offender can earn by completing their high school equivalency testing while in the custody of the Department of Corrections. HB 3884 passed the House by a vote of 95-19 with overwhelming bipartisan support. The House also approved HB 3149, sponsored by Rep. John Cabello (R-Machesney Park), a Rockford police detective. The measure allows a non-violent felony offender who earns a high school diploma, associate's degree, career certificate, vocational technical certification, or bachelor's degree, or passed their GED test during the period of their sentence, aftercare release, or mandatory supervised release to petition for their criminal record to be sealed from potential employers. HB 3149 passed the House by a vote of 94-20. 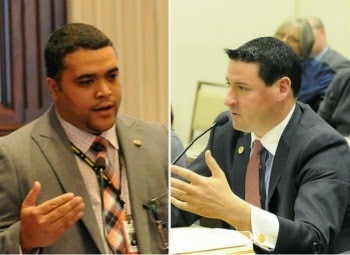 Both bills now go to the State Senate for approval.